Conceived and Created by Top Lawyers, Legal Transcription Experts and Cutting Edge Tech Developers. Fast Formatted Transcriptions from you phone. Highly qualified, American, English speaking transcriptionists complete your work. Record Pleadings,Summaries, Meetings,and virtually any Document. Your Transcription sent to Phone and E-mail in 24hrs. or less at lower cost than average legal transcription services. TEMPLATES AND FORMS: Search for, Upload and View while you record. Old fashioned transcription services don’t allow uploading or use of forms or templates for documents. 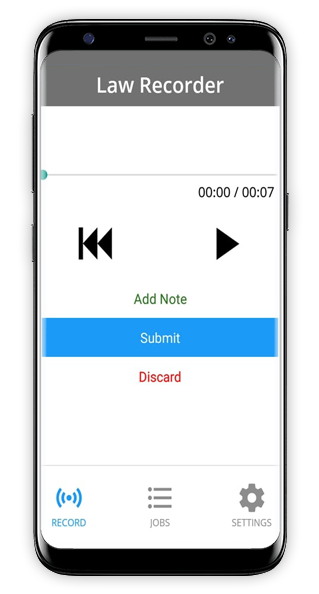 The revolutionary LawRecorder app lets you search for, upload and store forms and templates on your phone. The search , upload and view while you record functions Are features no other app provides! Wouldn’t it be great if you could have 24 hour access to secretarial services without any of the costs? 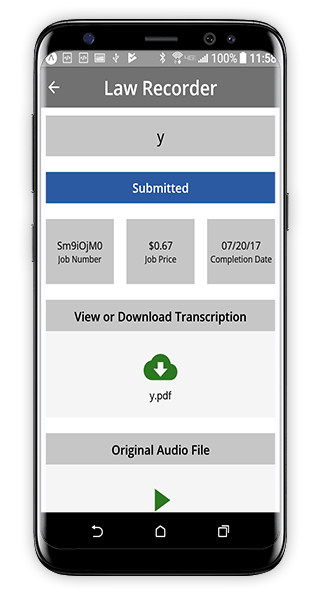 Enter LawRecorder, the incredible audio to transcription app which makes legal and general transcription inexpensive, easy, and convenient. 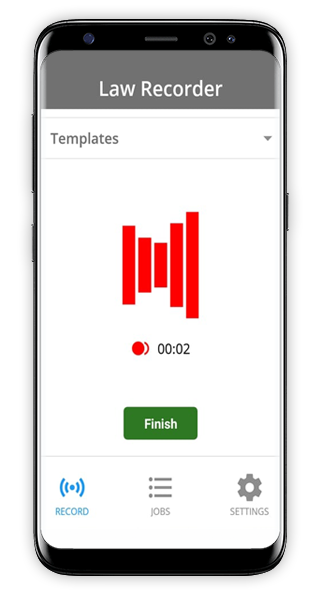 LawRecorder is a MOBILE FIRST platform harnessing the power of your phone to deliver 21st Century Transcription Services. The app keeps you informed about which jobs are in progress, and which are complete. Access your completed work at any time. Easily add custom word and address lists to your LawRecorder file. You can provide spelling of unique terms, add client addresses, client’s names, places or acronyms to be used in your dictation, and save for future typist reference.